Sony has joined Samsung, LG and TCL by offering an 8K TV under its premium Master Series range. The Z9G 8K LCD will be available in 85-inch in Australia in 2H 2019. 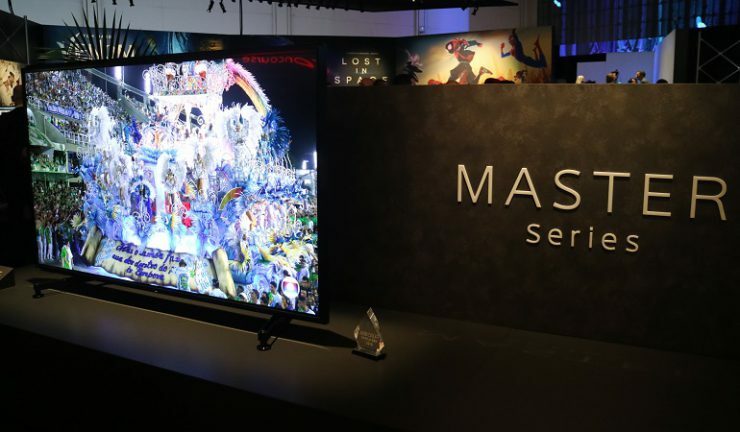 Sony also introduced its new Master Series A9G 4K OLED TV that will be available in 55-inch and 65-inch from August with a 77-inch model due to launch in September. The Master Series offers premium picture quality, colour, contrast, and clarity. Netflix Calibrated Mode and IMAX Enhanced functionality ensure content is delivered as the creator intended. Both new models feature the next generation Picture Processor X1 Ultimate, first introduced on the 2018 Master Series models, with a unique algorithm specially developed for 8K that can intelligently detect and analyse each object for a more realistic picture. Images will be upscaled closer to true 8K quality using Sony’s exclusive 8K database. New dedicated 8K technologies have also been developed for the Z9G series including Backlight Master Drive with full-array local dimming and 8K X-tended Dynamic Range Pro. The A9G and Z9G models feature the new sound-from-picture reality experience which faithfully reproduces the position of the sound on the screen by using four front-facing speakers, two on the bottom and two on the top. For example, when actors are speaking, the sound appears to be coming directly from their mouth and not from a speaker off to the bottom. Sony will also launch the A8G Bravia OLED 4K TV and X9500G and X8500G 4K HDR TVs from May 2019.